The Collier Resource Center (CRC) is pleased to introduce Marioly Soto, who joined the team as our Program Coordinator. 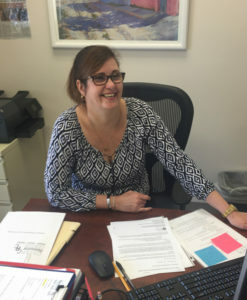 Marioly’s focus is on client intake and case management, increasing outreach using a multicultural approach, overseeing the client tracking software and working with our volunteers. Marioly said she is grateful to live in the United States. She believes this is truly the land of opportunity for those willing to work and working hard is what she does. There have been times when she worked three jobs. She said her goal is always to do your best, never give up and follow your dreams. We invite you to stop by the CRC office to meet Marioly and welcome her.